These were big fun! 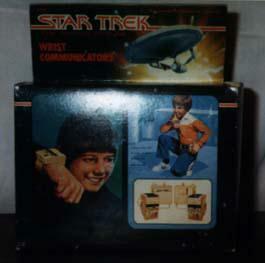 You could talk to your friends and annoy truckers with your Mego Star Trek Communicators. 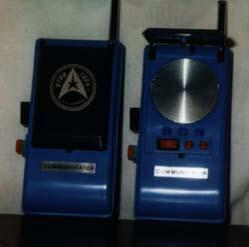 "Real walkie-talkies!" Mego cleverly repackaged these hit toys for Batman and Robin a year later, the Bat Coders were released in limited quantities. 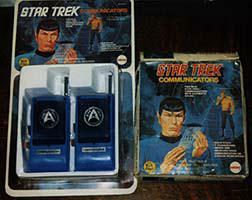 A few years later, Mego continued to pour money down the toilet with these Star Trek The Motion Picture Wrist Communicators!